A Hoberman Sphere is a structure invented by Chuck Hoberman that resembles a geodesic dome, but is capable of folding down to a fraction of its normal size by the scissor-like action of its joints. Colorful plastic versions have become popular as a child's toy. Typically it consists of six great circles corresponding to the edges of an icosidodecahedron. 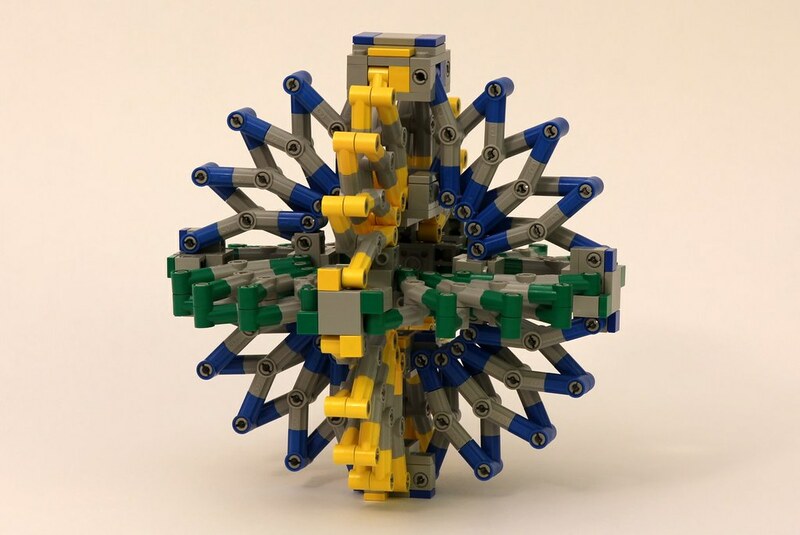 The Hoberman Sphere can be unfolded by allowing certain members to spread apart. 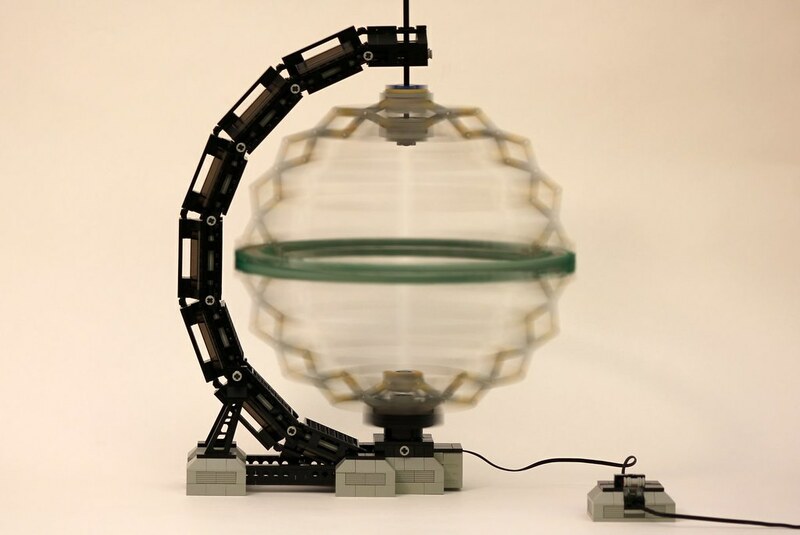 Jason Alleman [1, 2] built a motorized spinner stand for his LEGO Hoberman Sphere. By speeding up and slowing down the rotation of the Hoberman Sphere, it expands and collapses on its own. Here you can find the link for the original photos at Jason's flickr photostream, and you can also find the building instructions for the sphere, through this page at Rebrickable. 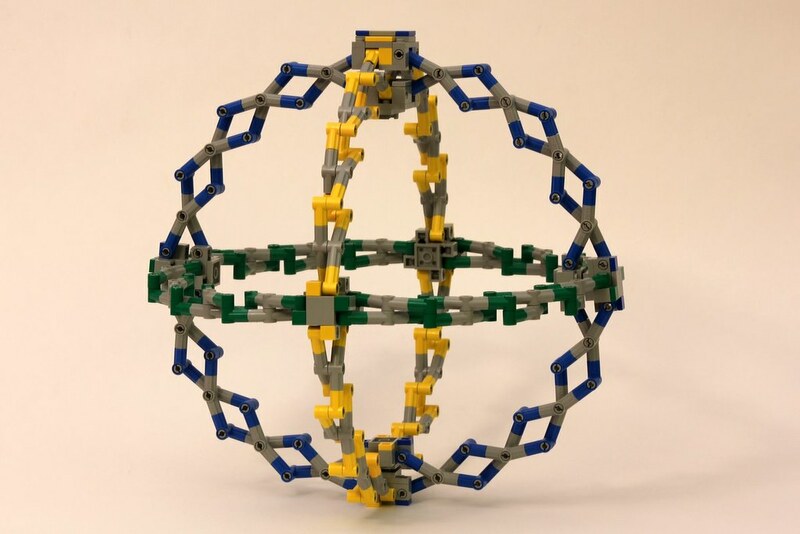 I built one of these Lego Hoberman Spheres, and it is COOL and fun to manipulate in your hands. LEGO Technic Co Creation - Vote Now!